Measured in joules, this quantifies how much work is performed close to MPA. 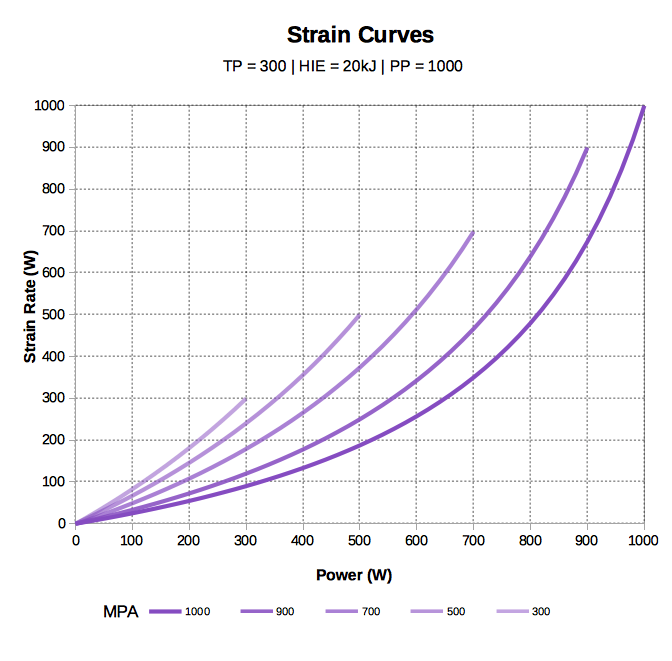 As MPA drops with fatigue, strain increases at the same intensity. Each joule of strain can be divided into low, high and peak strain according work allocation ratios, based on per second work (equivalently each second’s power data value). When strain is normalized to equal 100 points for one-hour of unfatigued work at Threshold Power, it is referred as Xert Strain Score.